The movie Hidden Figures (20th century Fox, 2017) was by far one of the best movies I’ve ever seen. It is based on the stories of three African American women– Mary Jackson, Katherine Johnson, and Dorothy Vaughan. 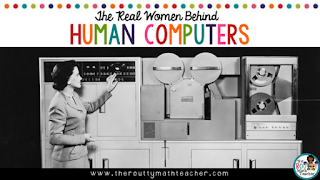 Initially hired by NASA to work as human computers, mathematicians who performed calculations for the work of NASA, each woman became an important contributor to NASA and the space race of the mid-twentieth century. This crossword puzzle highlights the important contributions of these great African-American women. An answer key is included. 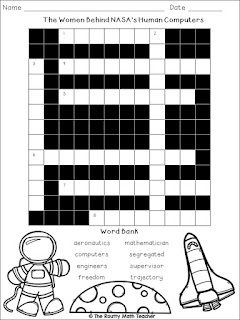 Click here or on the image above to grab a free copy of “The Women Behind NASA’s Human Computers” crossword puzzle.